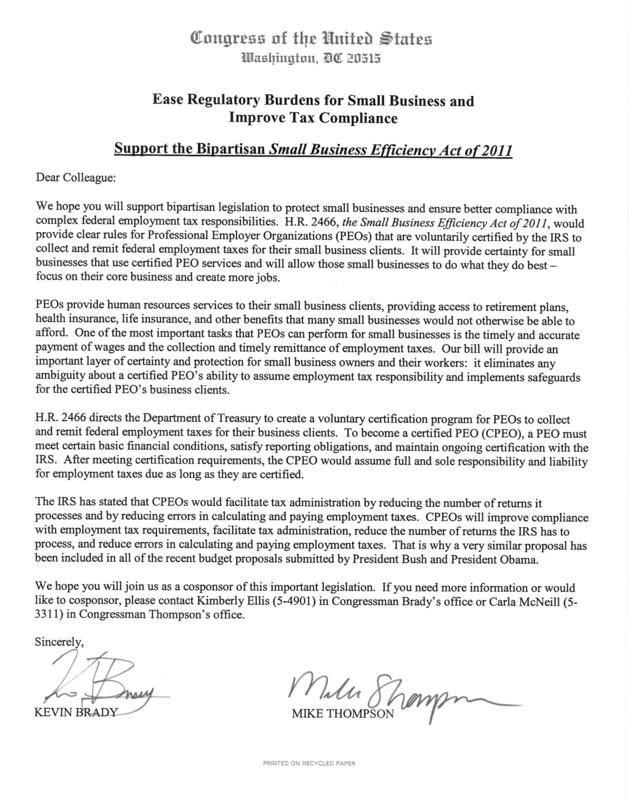 The Small Business Efficiency Act of 2011, H.R. 2466, would provide clear rules for Professional Employer Organizations (PEOs) that are voluntarily certified by the IRS to collect and remit federal employment taxes for their small business clients. It will provide certainty for small businesses that use certified PEO services and will allow those small businesses to do what they do best- focus on their core business, grow their businesses, and create more jobs. 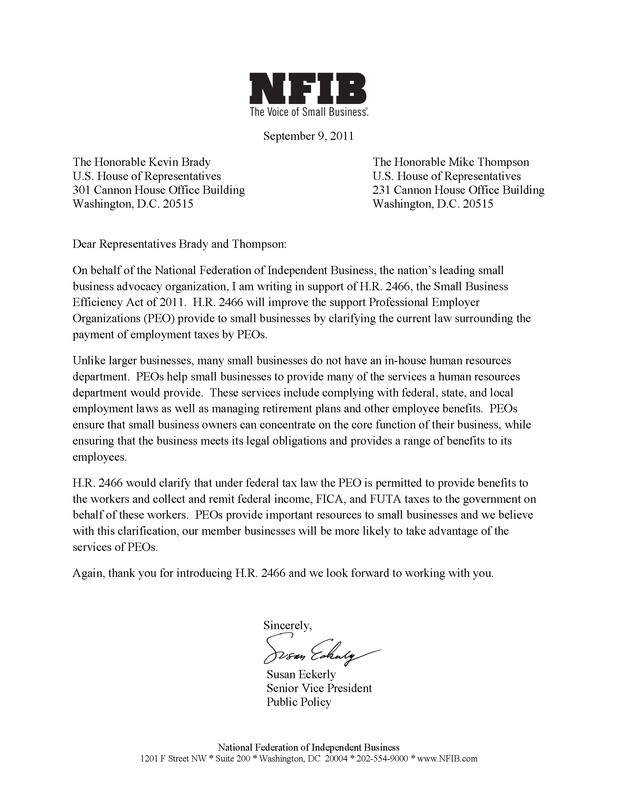 Representative Kevin Brady and Representative Mike Thompson invite their colleagues to join as a co-sponsors of this important legislation to help America’s small businesses and their employees. Representatives Rob Andrews, Tim Bishop, Dennis Cardoza, Blake Farenthold, Nan Hayworth, Wally Herger, Sam Johnson, Pete Olson, William Owens, Erik Paulsen, Ted Poe, Tom Reed, Paul Tonko, and Allen West join Representatives Brady and Thompson as co-sponsors of the Small Business Efficiency Act of 2011.